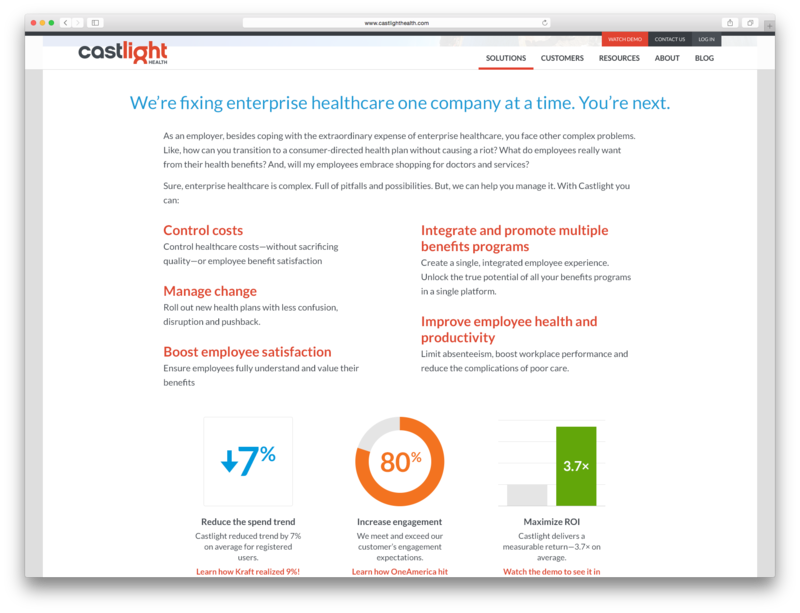 I worked with the marketing team at Castlight Health to redesign dozens of pages across their marketing site as well as create multiple new content areas including event microsites, demand generation landing pages, and a careers section. 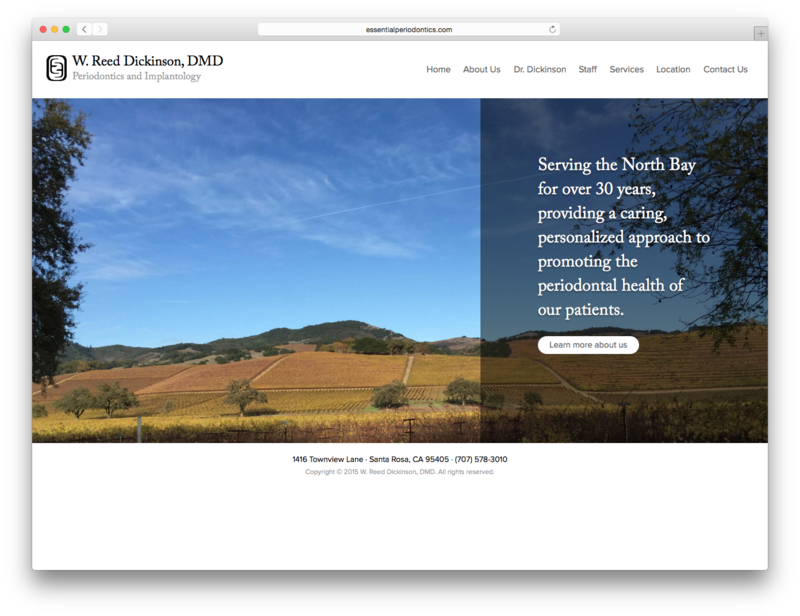 All designs were created with the responsive nature of the site in mind, and many narrow viewport comps were included to aid the developers. 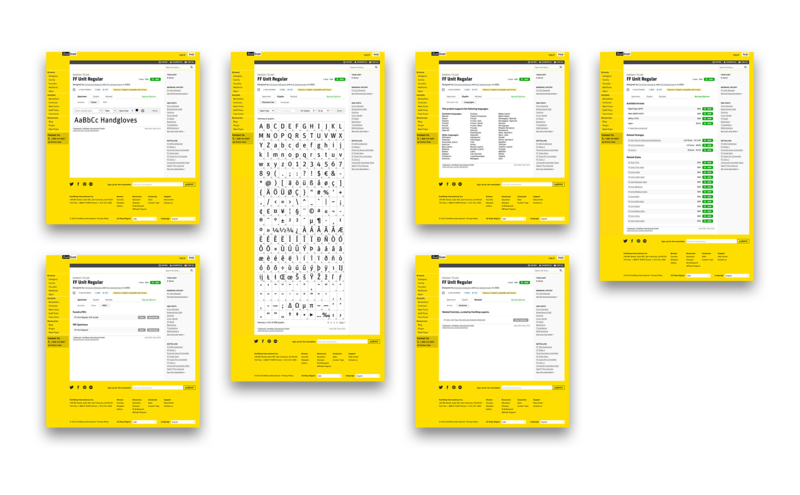 I worked with FontShop to improve the shopping experience by redesigning their product pages. I reviewed their existing site, discussed the pain points and restrictions, and created a content heirarchy to guide the process. I then came back with a proposal to merge redundant views, clean up and simplify each view, and streamline the experience around selecting a buying option. 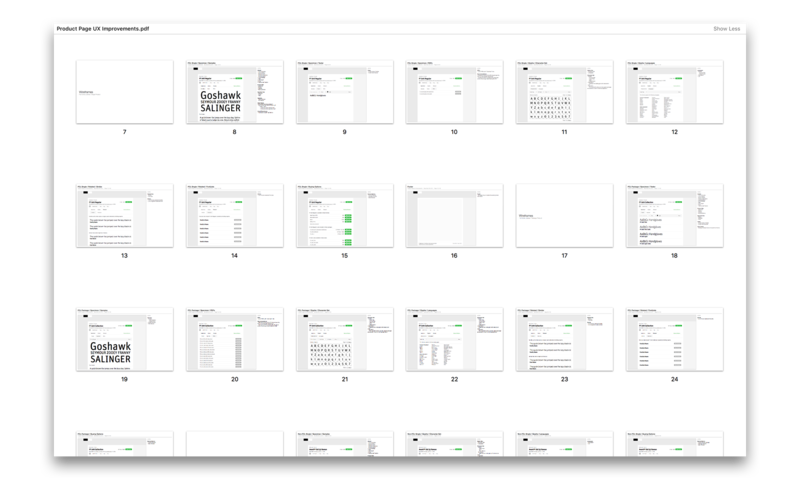 Based off those wireframes, I created a complete set of comps and redline specs for the implementation team. 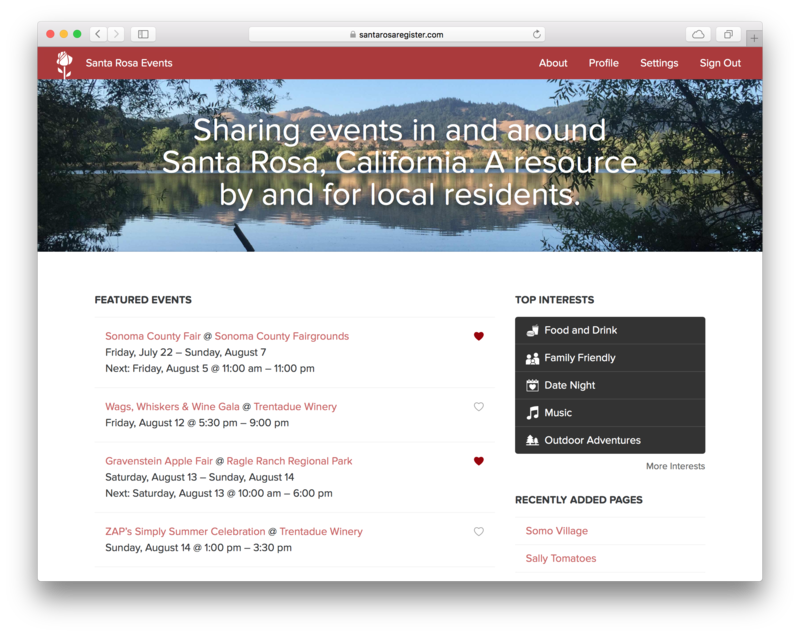 I designed and built this site to track local events using the Laravel PHP framework. 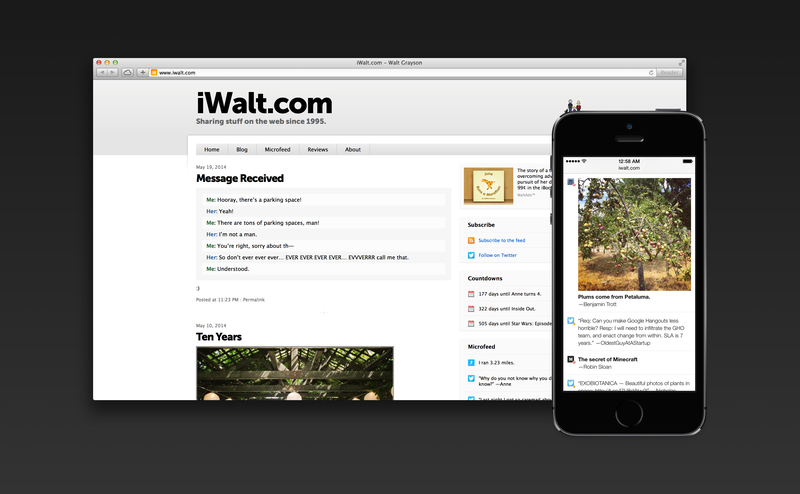 Visitors can create profiles and flag the events they’re interested in. The app also generates iCalendar files which can be subscribed to using popular calendar apps. 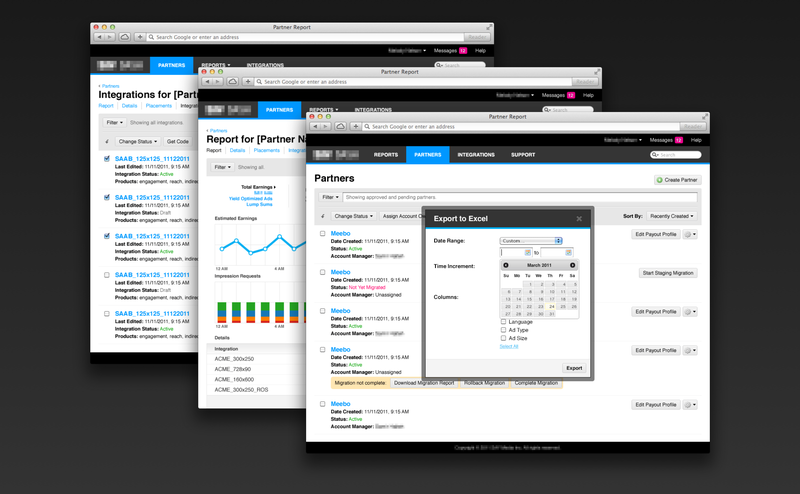 I designed a suite of tools for managing various workflows. 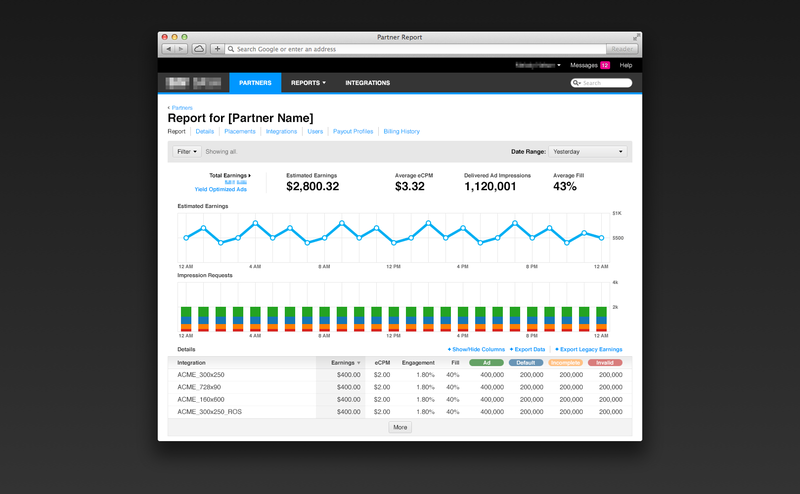 Shown here are screens from the partner reporting tool. 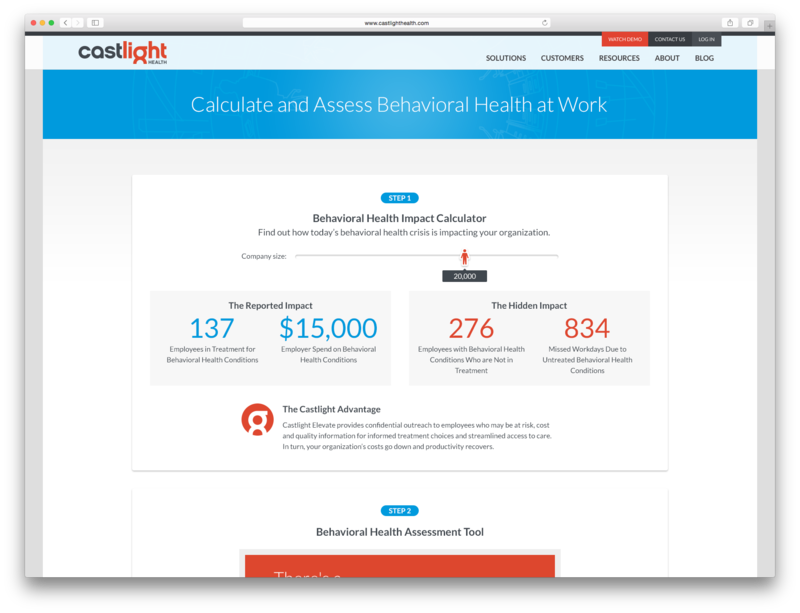 The goal of this tool was to allow partners to see how the ads from the network were performing on their site. And to enable them to manage the types of ads they wanted to use. Other tools in the suite included an app that allowed advertisers to see how their ads were performing across the network. And an app which made it possible to build ads based on a set of parameters. I worked with Make A Stand’s agency, McLean Design, to build a website from a provided Illustrator comp. 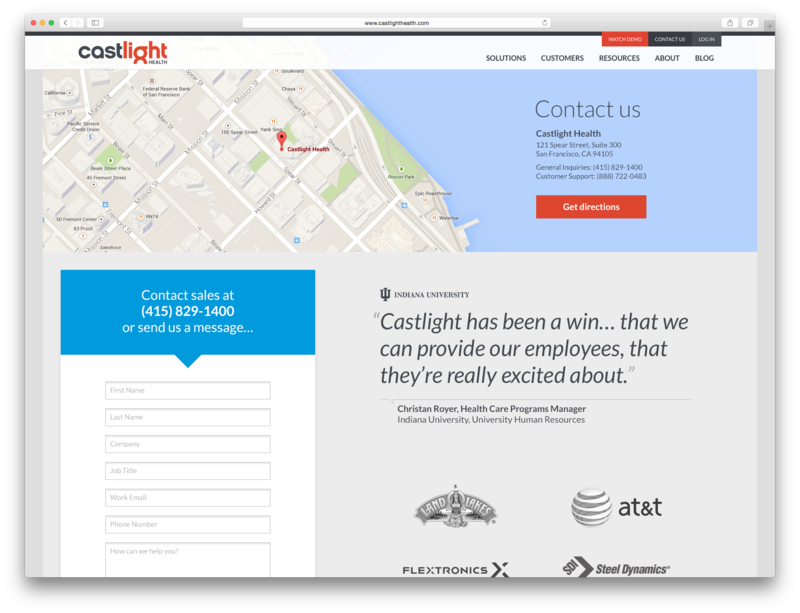 The resulting site was optimized for devices ranging from desktop displays to handheld devices. 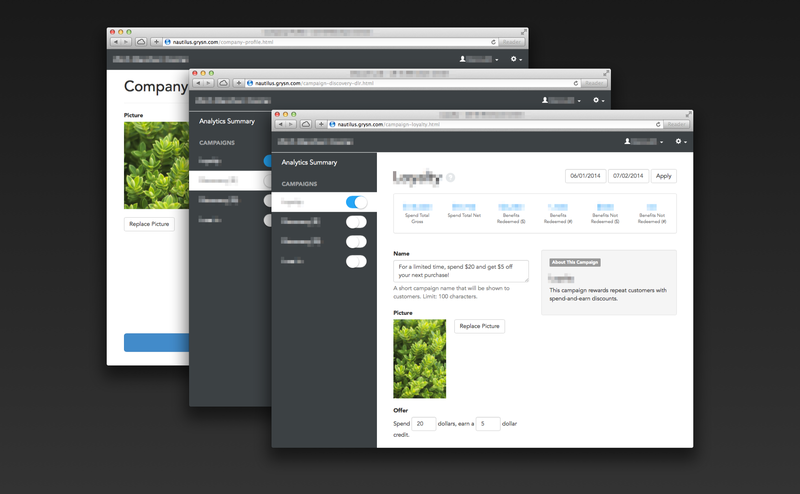 I worked with a company to prototype and iterate on an interface for their campaign manager application. 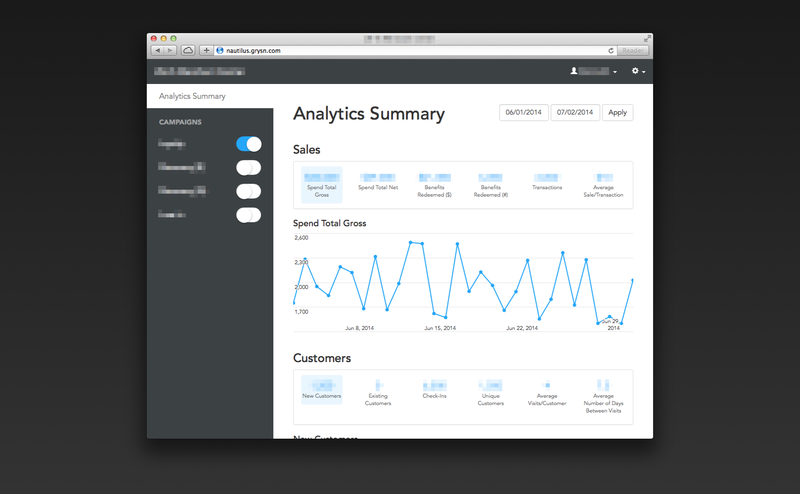 Built on top of Bootstrap, this prototype was fully responsive, with a UI that worked for mobile as well as the desktop. 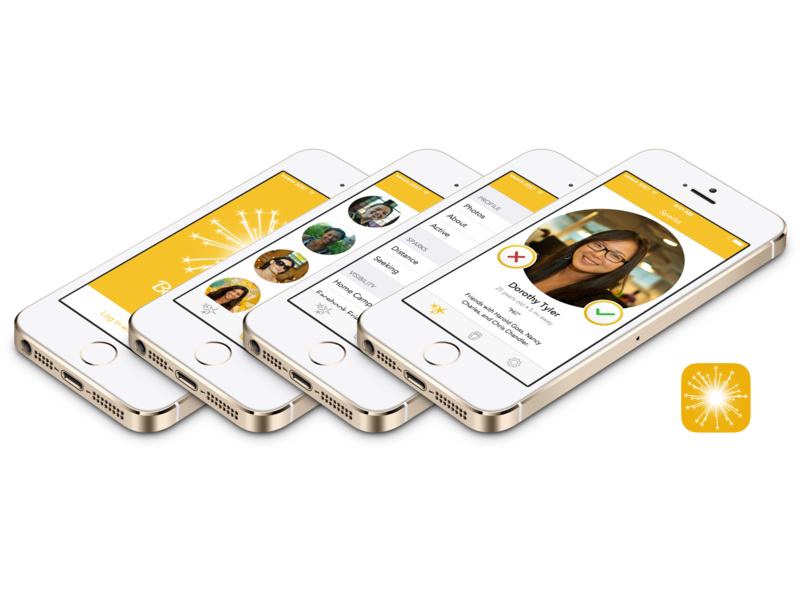 “Sparks” is a location-based social app for iOS that enables users to find and connect with each other. 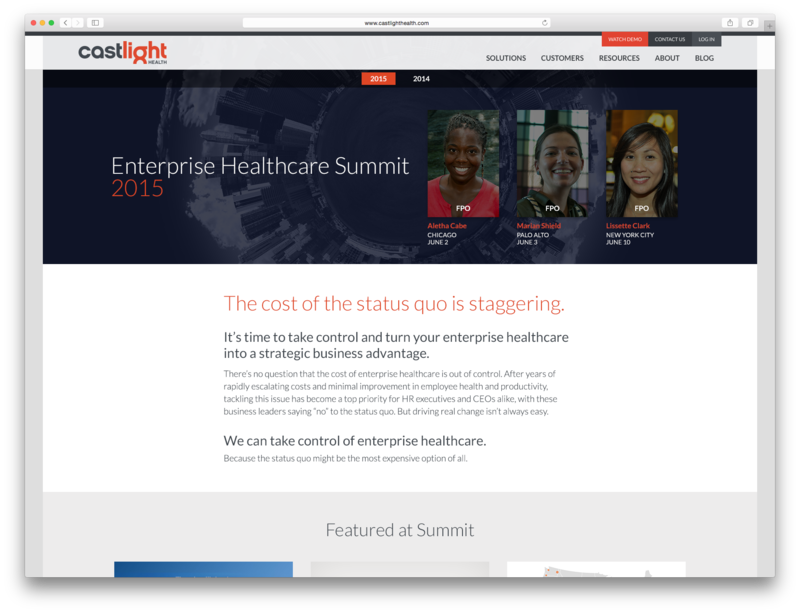 I worked with the entrepreuer and the development team to design an interface that was simple, powerful, and fun. 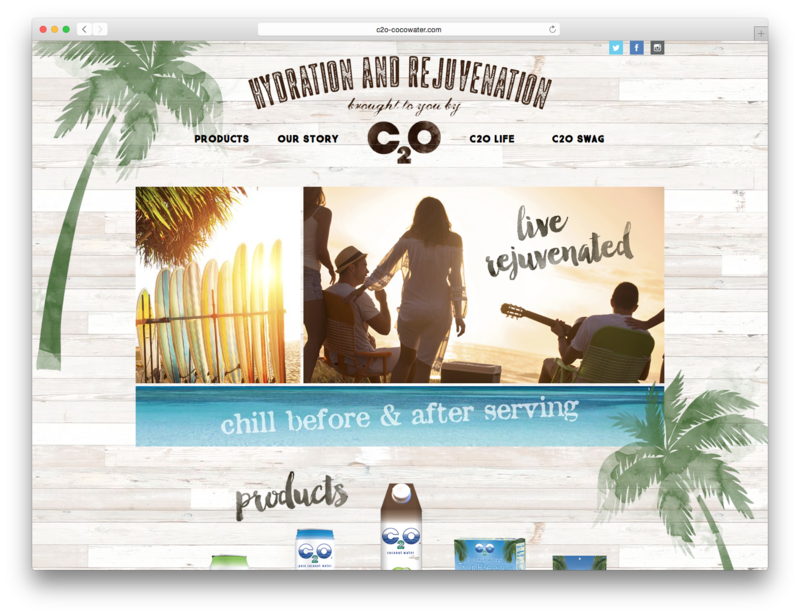 I worked with McLean Design to build a website and online storefront for C2O coconut water from a set of provided Illustrator comps. 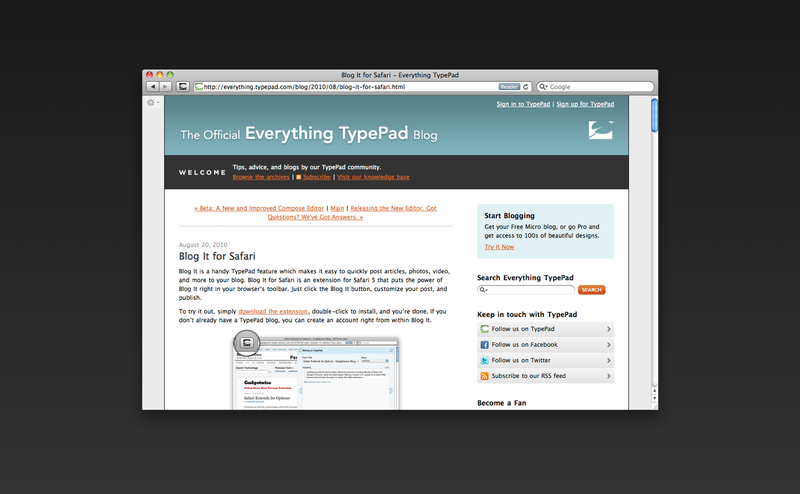 TypePad is a web application for designing, composing, and publishing a personal or professional website. 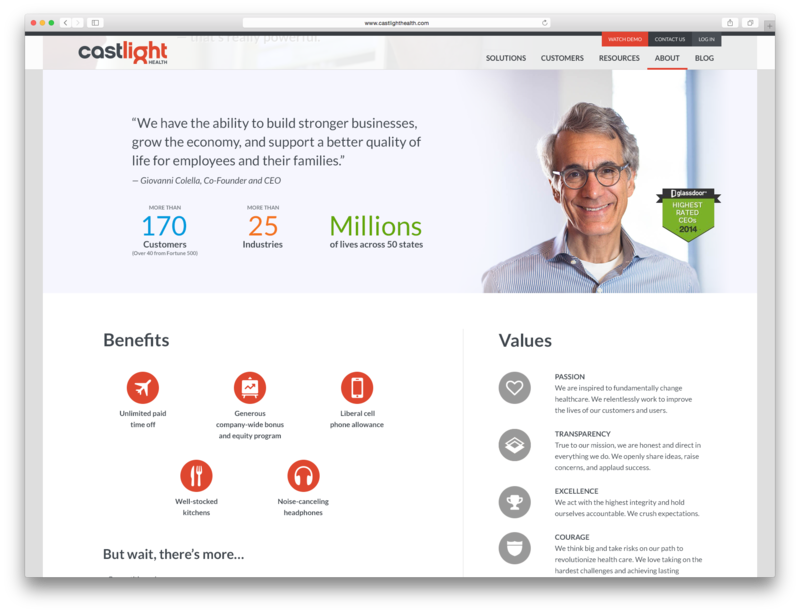 My involvement with the product included user experience design and visual interface design across both the customer-facing application and the web-facing published blogs. In my role I worked directly with product managers, engineers and other designers to create great experiences for our customers. 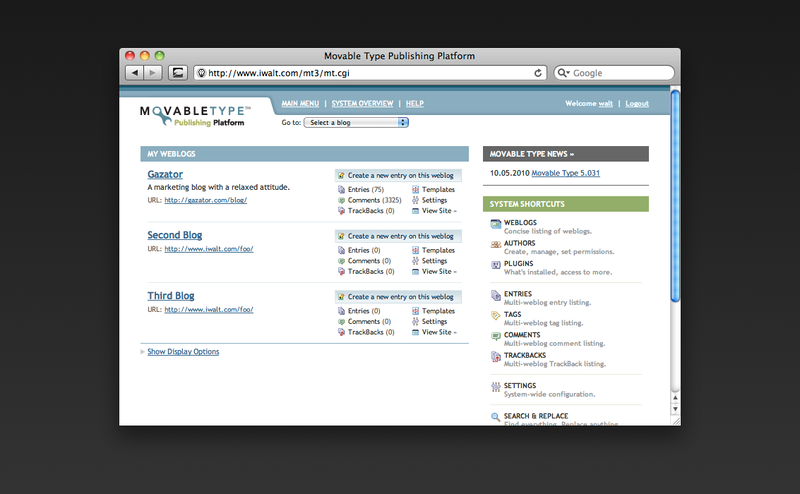 Prior to TypePad, I worked on a self-hosted publishing application called Movable Type. 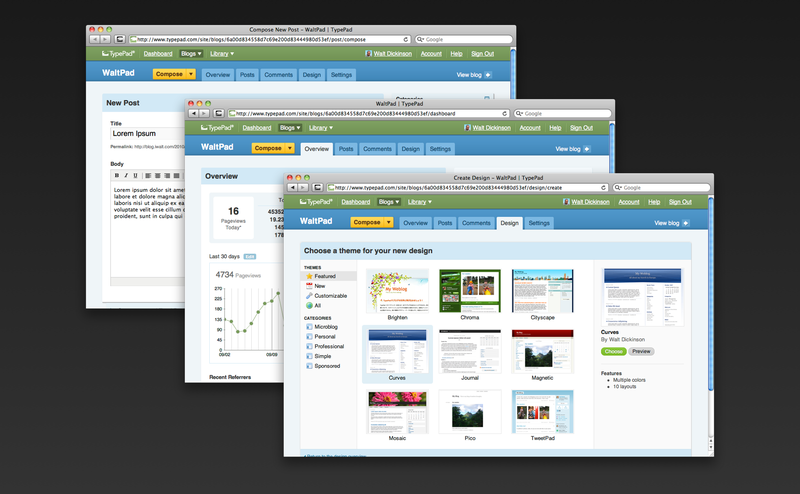 Again, my focus was on the visual design of the application pages. 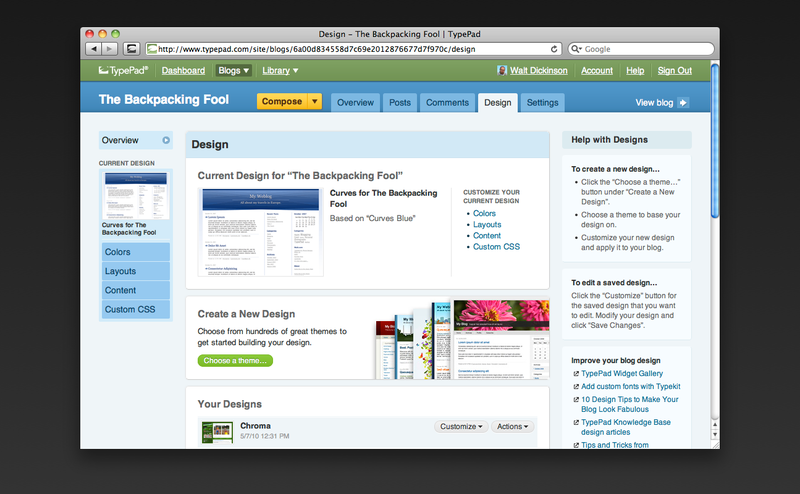 This included layout, user experience, iconography, and a fair amount of copy writing. 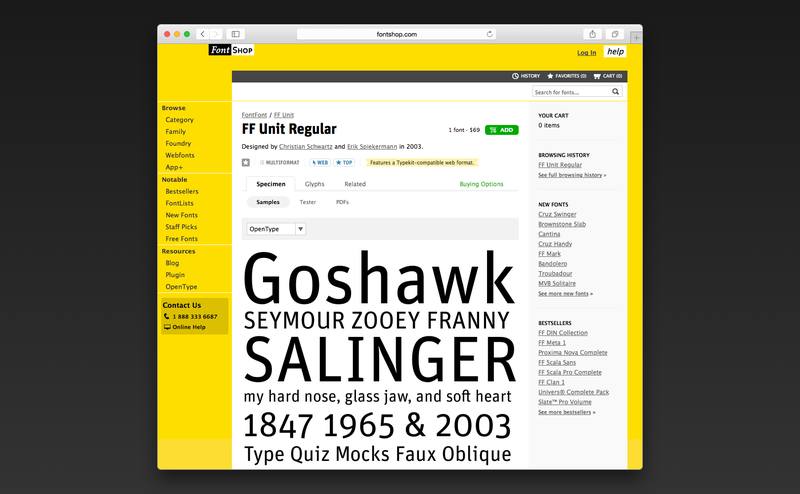 Movable Type is a self-hosted product, and has a significantly differentiated feature set, including powerful filtering and search tools. 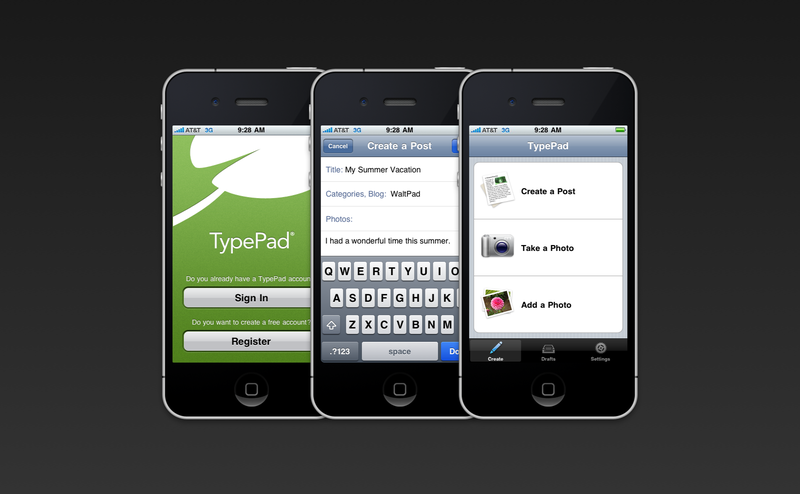 I designed and built the interface for this mobile web app which provides many of the core features of the TypePad blogging platform. 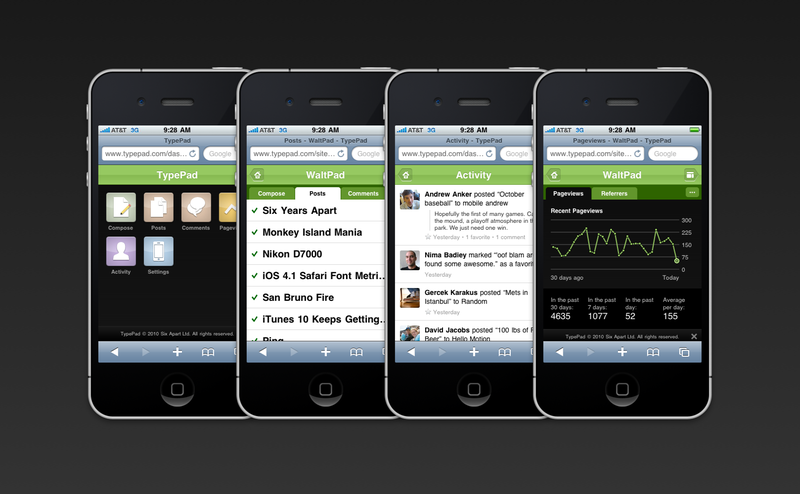 All of the screens are optimized for a handheld device and offer an iOS-like experience to multiple platforms. Initially released in September of 2007, it was updated in 2010 to support the increased pixel density of the iPhone 4’s Retina display. 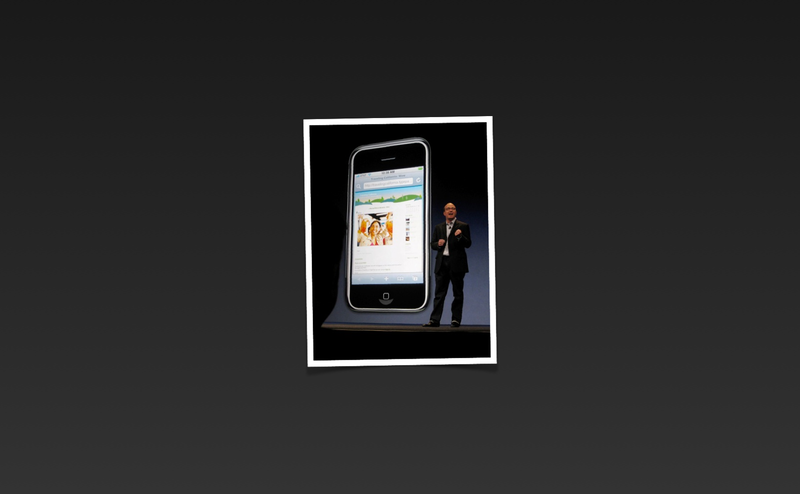 Six Apart was invited to present one of the first iPhone OS apps at WWDC 2008 and I was the designer on the project. 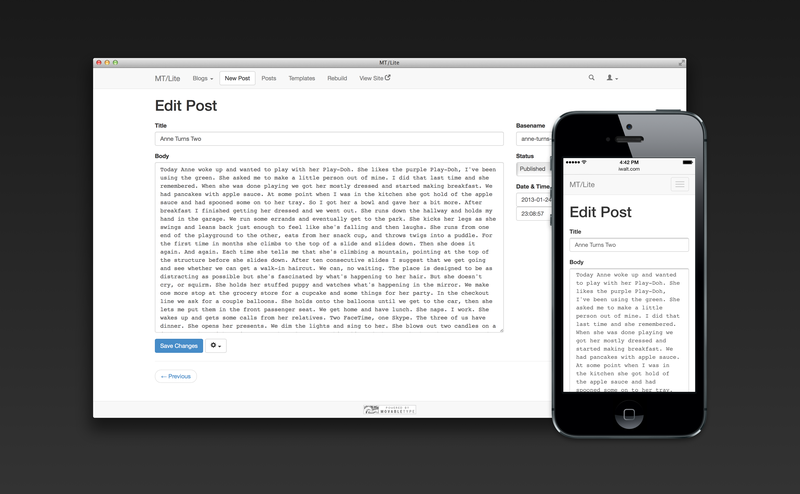 On a short deadline we designed and developed a simple, elegant solution for publishing quick posts and/or photos using the built-in camera. Following the initial release, we added support for high resolution devices and made numerous improvements to the visual design. 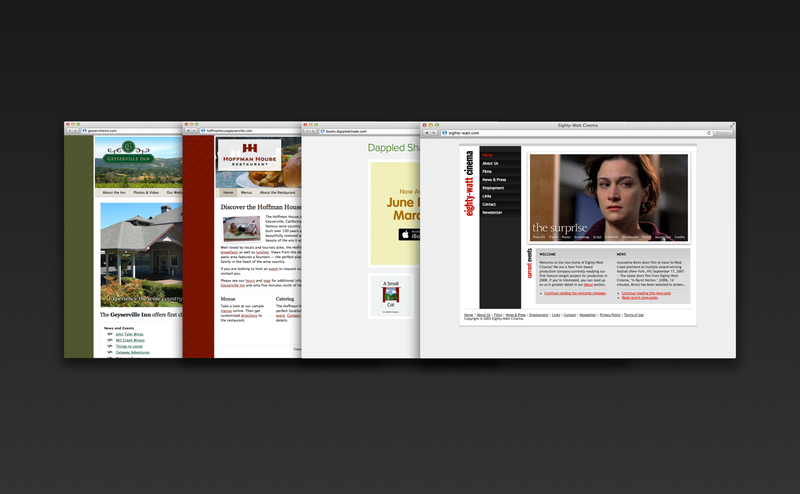 As an independent freelancer, I’ve designed and built numerous promotional websites for a diverse set of clients. Each project has a unique set of constraints and problems that need to be solved. 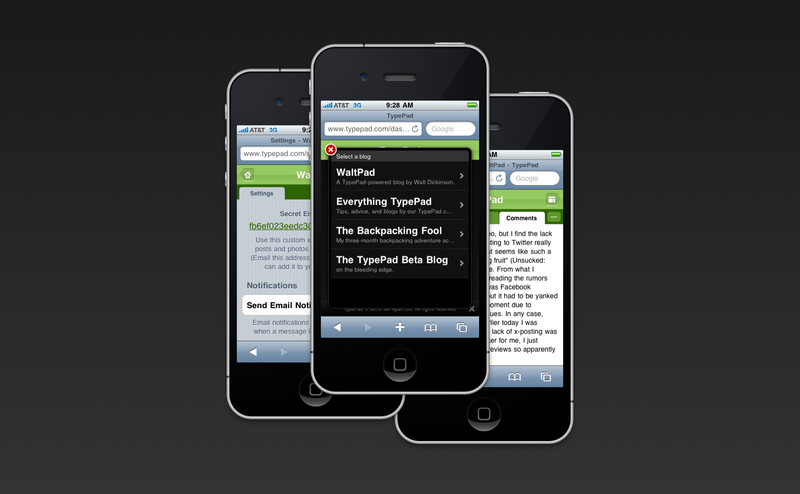 I’ve designed and developed many themes and content modules for the public-facing blogs generated by TypePad. 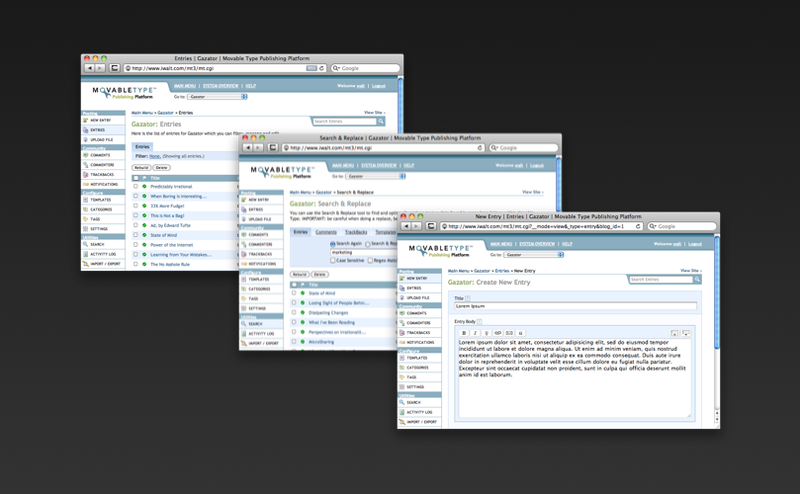 Some themes provide out-of-the-box solutions which require very little user configuration to get up and running. 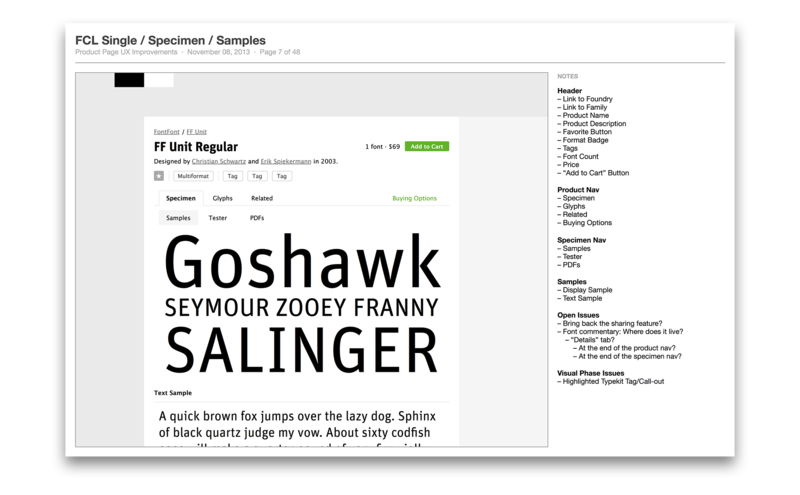 Others allow users to tweaks colors and fonts for greater customization. Some themes are specific to our marketing efforts and used only on our official blogs, marketing emails, and other communications. 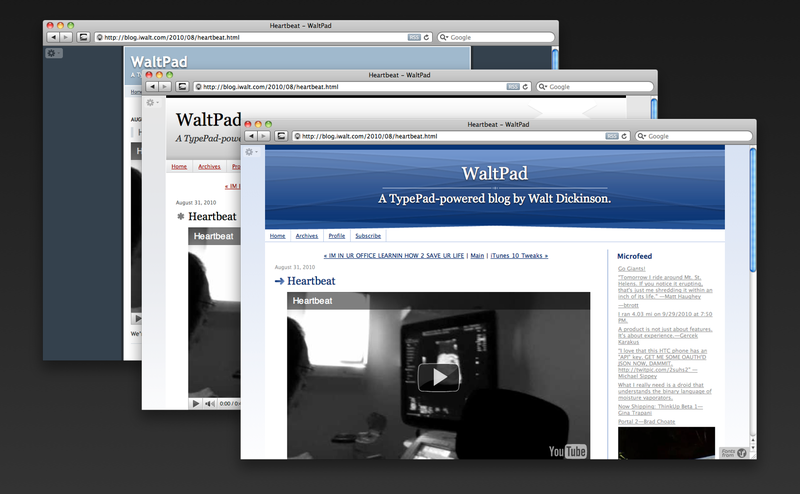 An open source project to develop a light, simple interface for my favorite blog software. In my spare time I design and develop various projects. I enjoy thinking through new ways of collecting and presenting information. 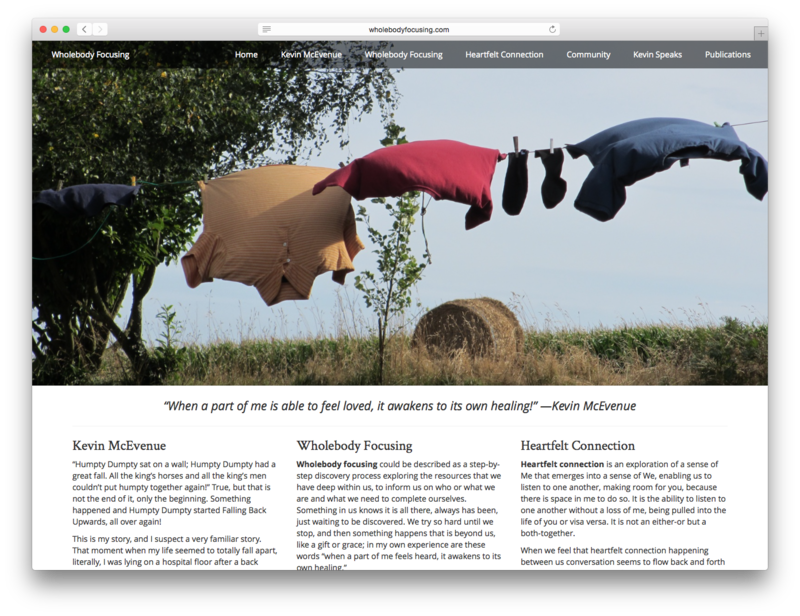 My personal website includes photos, blog posts, activities pulled from multiple web service APIs, and app reviews. 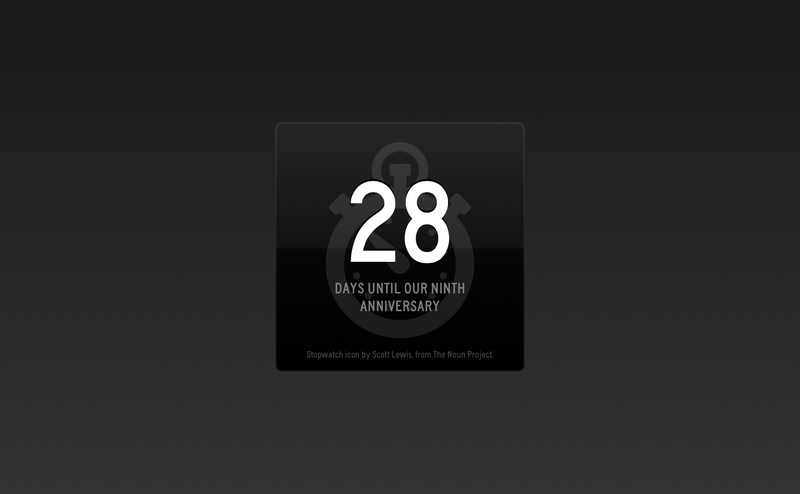 I also enjoy building little one-off projects like this countdown widget for Panic’s Status Board app for iOS.